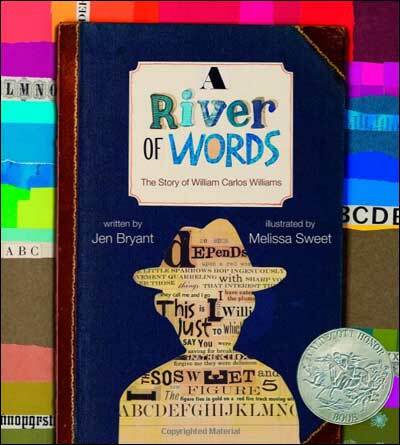 A River of Words is a stunning picture-book biography that tells the story of a little known but extraordinary man named William Carlos Williams, who worked as a doctor by day and wrote Pulitzer-prize winning poems at night. Readers learn about William's life and how his love of nature inspired his poetry. Through that story, readers also learn about the process of becoming a poet, making it a natural for using in your classroom poetry lessons / unit. And because Williams wrote about what he found extraordinary in everyday daily life, it's perfect to use when teaching poetry to kids who find the subject intimidating. Brilliantly done! We adore this book! Truthfully, it took us completely by surprise (even though it's one of the Caldecott Award winners...you'd think we'd know better.) 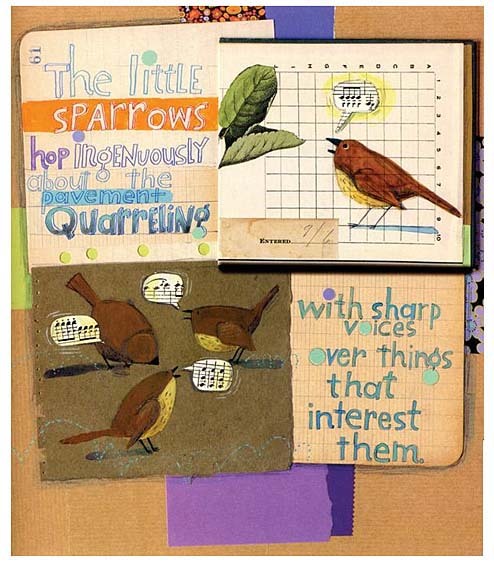 It's a book you'll pour over and gasp, and Sweet's mixed media collages have wide appeal. 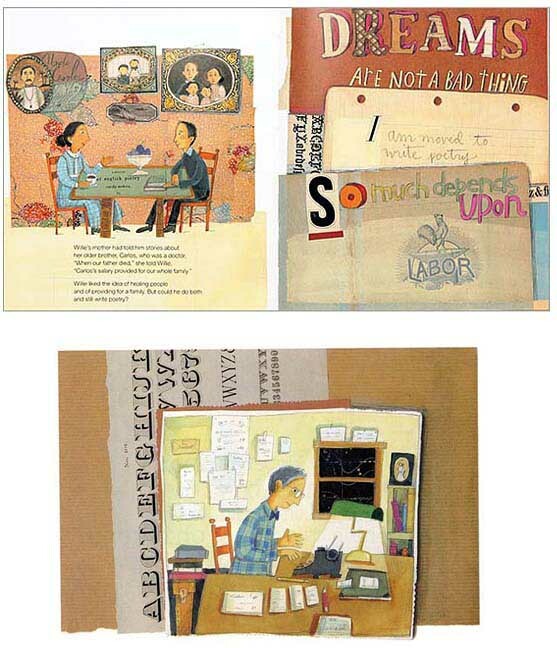 Childlike drawings for the young and "artfully layered paper compositions" (Booklist) appeal to big kids. Bryant and Sweet incorporate pieces of William's poems into the text and the art. *This book is for kids in grades 3-6, but this book will likely be too difficult for kids in grades 3-5 to read independently, so you will want to either read this book aloud or be sure to provide extra support for kids in those grades. Here are two sample pages and one sample spread from A River of Words. Sweet's mixed media collages will appeal to a wide range of ages. "Younger children will connect with the childlike drawings...while older kids will appreciate the artfully layered paper compositions." (Booklist) Additionally, Sweet has woven William's poetry into her illustrations, creating a strong marriage of the text and the illustrations. Brilliant work!